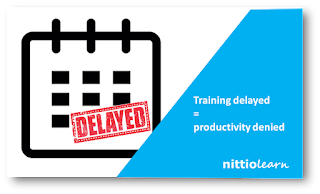 You have planned a two-day training with the greatest trainer in the country and pulled your most expensive employees out from work for the training. And then you find yourself wondering how to overcome the nightmarish phenomenon of the Forgetting Curve depicted by this graph? 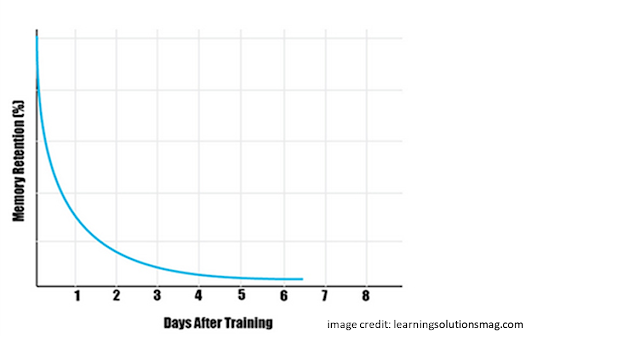 The graph represents the retention %age as days pass after a training session. 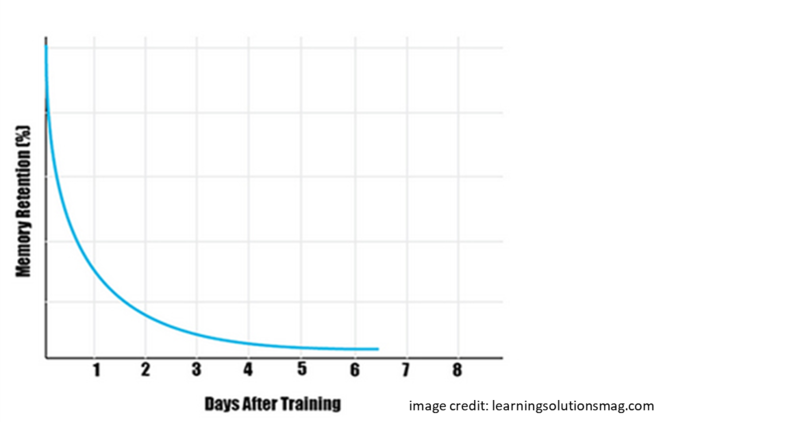 You can practically visualize the training ROI sliding down that curve. How can you ensure that your organization does not suffer due to this? The answer lies in learning automation. You can use learning automation not only for your digital learning initiatives but also to maximize the ROI from the classroom trainings. Here are three simple steps to do it. 1) It starts before the training: Provide a short pre-training learning or assessment module to the people nominated for the training. This ensures that people get into the training with some preparation. Also, you and the trainer can figure out the areas of focus from the learning analytics of the pre-training module. 2) Post training module: Use a summary module to provide a massive recall for the attendees. Ensure that you do this within two to three days of the training. 3) Regular drip of modules: Create a regular stream of micro learning nuggets that the attendees can go through. These can be as short as 5-10 minutes learning modules, and it is even better if these are interactions or assessments. The planning is as easy as that. Would you agree that this would result in your trainings being more effective? Let me know what you think by sending me an email. 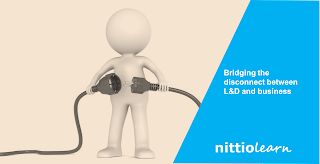 With Nittio Learn, the execution of the above process is even simpler than the planning. You will be able to get going with it in minutes. 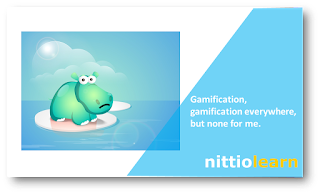 Check out Nittio Learn at www.nittiolearn.com and schedule a demo or send us an email to hello@nittio.com. We would be happy to hear from you.